Howard Rushwald Style: New From Hoorenbeek! Hey everyone, hope your all having a great April fools day. I have another mesh product to show you from Hoorenbeek. 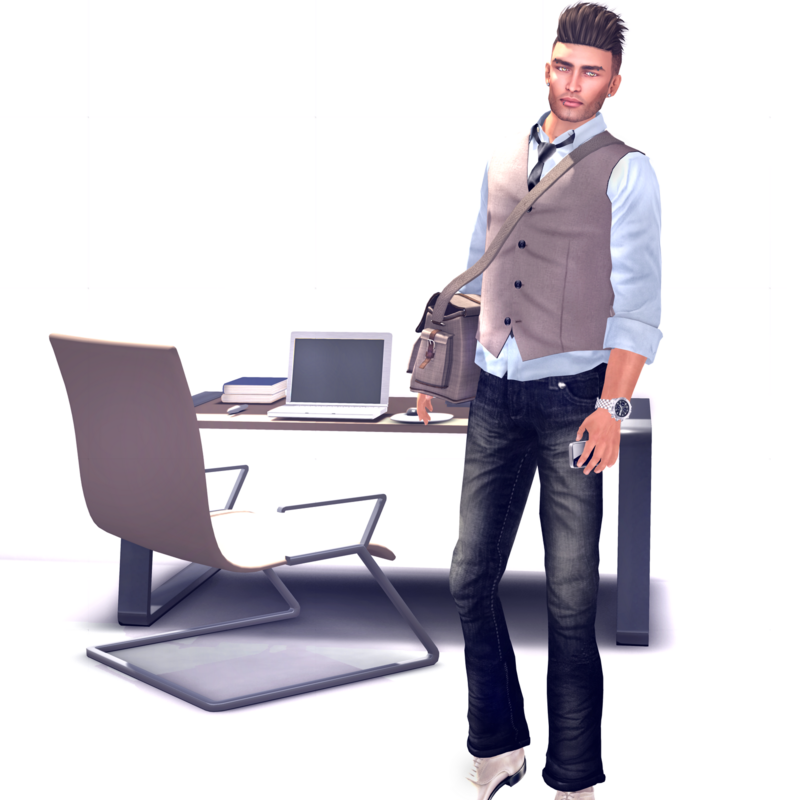 Earlier today I blogged the dress shirt and tie. Now I am showing you the new vest combo. You can pick the color vest you want, but both the inside shirt and tie are changeable, with the hud that comes included. At the moment, you can get any of the colors, for just 200L! that's super cheap for high quality mesh. It's a limited time sale, so get it while you can.